I'm going to San Francisco! Follow my journey at the #Cars3Event! I’m going to San Francisco! Follow my journey at the #Cars3Event! I’m so excited to share with you guys that I have been invited by Disney, Pixar & ABC for a very special event in one of my favorite cities…the lovely SAN FRANCISCO!!! Follow along with me on Monday, March 27th – Wednesday, March 29th as I attend an early press event for Disney/Pixar’s CARS 3 at Pixar Animation Studios and the Sonoma Raceway! I’m beyond excited I am about this experience and just scroll down this post to see why! Be sure to follow me on Twitter and Instagram for the complete rundown of every celebrity interview and adventure that will take place on this trip. Monday, March 27th: Reception at Pixar Studios with footage from CARS 3 (opening in theatres on 6/16) and a screening of the short film LOU. Tuesday, March 28th: Press day at the Sonoma Raceway for CARS 3 including interviews with Director Brian Fee, Producer Kevin Reher and various animators. Then… we take a lap around the racetrack in a real race car, learn how to quickly change out a tire at a pit stop and go on a tour of the garage! Later that evening, we will also screen the upcoming Disneynature film BORN IN CHINA (opening in theatres on 4/21)! Download FREE educational activity sheets from the movie HERE! Wednesday, March 29th: We ead back to Pixar to learn all about Pixar in a Box followed by a special screening of the series premiere episode of “The Toy Box,” the ultimate toy-competition series, which will provide talented designers with the chance of a lifetime: an opportunity to bring their toy concept to life with industry-giant Mattel and to the shelves of Toys ”R” Us the day after the series finale! Inventors present their toy concepts to a group of mentors that include Pixar Creative Director of Consumer Products, Jen Tan, with whom we’ll get an exclusive Q&A with after the screening! 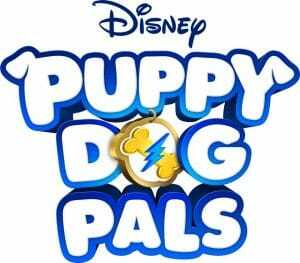 We get to join Disney Junior for a special screening of the upcoming animated series “Puppy Dog Pals,” which stars fun-loving pug puppy brothers Bingo and Rolly, whose thrill-seeking appetites take them on adventures in their neighborhood and around the globe. Whether helping their owner, Bob, or assisting a friend in need, the pugs’ motto is that life is more exciting with your best friend by your side. Premiering April 2017, the series features two 11-minute stories that showcase Bingo and Rolly’s similarities and differences and demonstrate positive lessons about friendship, problem-solving, collaboration, creativity and adventure. Following the screening, we’ll get to chat with Sean Coyle (executive producer) and Diane Ikemiyashiro (Disney Junior creative executive) for a Q&A! Anything you’d want me to ask them? Again, that’s all I have so far, but stay tuned because I’ll be update this as I learn more! « Beauty and the Beast Coloring Pages – Printable! I’m extra excited about The Toy Box since we work with the game and toy industries so closely. Can’t wait to hang out with you. Yay! I’m glad to hear what a treat we have in store. It’s going to be an amazing trip! I can’t wait to see you again! I can’t wait to meet you and have such an amazing trip together! Thank you again for the graphic that is the face for our trip! Such talent!